We are getting ready for Christmas. Making lists for the little ones. Asking the older ones what they want. I have already created an event for a Cookie Exchange for early December. I invited 25 people for the exchange and I hope we get at least 20! I love the holidays! I think it is mostly the family getting together from just around the corner and many miles away. I also like the goodwill towards others; we tend to give to others more around the holidays. very sad but very true. I was thinking of gifts for family and friends and trying to keep a budget – UGH. I have relatives and friends that have everything, they don’t need things. But everyone has a like, a hobby, a passion that is hidden if you look around. Mine is Santa Claus, I don’t like clutter, so I get to bring out my Santas at Christmas, display them and pack them until the next season. While scrolling through United States Flag Store for a Santa themed Garden Flag. I thought what better way to stay in budget but to buy garden flags? For the holiday season there is Jesus, Santa, nature. There are snowmen and animals – so many different themes and motifs. They are just so many to choose from. I thou ght, What about the men in my life? There are all sports-themed (Pro and College), any branch of the military, golf, fishing, historical, nautical. I think I am on to a great idea! For the ladies in my life, hummingbirds, flowers, welcomes, and so many seasonal: spring, winter, fall, summer, Valentine’s day, Halloween, Thanksgiving, Easter, St Patrick’s Day. Ok, I do not have to list them all – you get the idea! The ideas are not exclusive to gender because I have some picked out that would look great at my uncle’s home and that one is a farm theme. Pricing ifor the ones on my list range from $9.00 to $18.00. With that in mind, I am thinking for a couple presents, I can combine a gift for the home with a monogram instead of some gift they will re-gift next year! Happy Shopping! It is officially HOCKEY season. For those of you that are hockey fans, well, you already understand the excitement I feel! I was going to write about the Original 6 but I would be leaving out so many worthy franchises. For those of you that do not follow Hockey well I am sorry. Being a hockey fan is not like a fan of any other sport, I mean we have our own language! EX: Celly, Hatty, Hoser, Puck Bunny and Bucket, need I say more? For me and my house we are Red Wing fans. The winner of 11 Stanley Cups and 24 appearances at the play-offs. Yes we are those crazy fans! My oldest daughter graduated Kindergarten on the day Detroit had a parade for the Wings for winning the Stanley Cup that year (1997) we went to the parade. No I did not miss graduation but we did leave early! The top teams for appearances and their wins are as follow: Montreal Canadiens 24/24, Detroit Red wings 24/11, Toronto Maple Leafs 21/13, Boston Bruins 9/6, Chicago Blackhawks 12/5, New York Rangers 11/4, Philadelphia Flyers 8/2, Edmonton Oilers 7/5, New York Islanders 5/4, New Jersey Devils 5/3 and Pittsburgh Penguins 4/3. In all that is some impressive stats. I moved this past winter back home to the south. There is not a close NHL team but we do have the Pensacola Ice Flyers, they are members of the Southern Professional Hockey League. The Ice Flyers name comes about two-fold, 1. a tribute to our heritage for our Naval Air station home of the Blue Angels 2. for the original owner Tim Kerr former NHL player for 11 seasons with the Philadelphia Flyers. I am very excited to experience this new team of hockey players in my home town, BUT are they ready for me? POW/MIA Recognition Day is observed on the 3rd Friday of September each year. We remember those who were Prisoners of War (POW) and those that are Missing in Action (MIA) along with their families. In 1970, the National League of POW/MIA Families asked that a Flag of remembrance and recognition of POW/MIA designed that the United States promise to Never Forget POW’s and those that are still missing or not accounted for. Newt Heisley designed the POW/MIA Flag with the silhouette of his son in mind, the flag bears a white disc in a black silhouette, a watch tower with a guard on patrol and a strand of barb wire, with white letters POW and MIA with a white 5 point star in between. “You Are Not Forgotten” written in white. There is no trademark or copyright for this because it is used not for profit but for awareness. On March 9, 1989, the White House flew this Flag on National POW/MIA Day. The League of POW/MIA Flag is the only flag ever displayed in the United States Capitol Rotunda. Since 1982, the POW/MIA Flag is the only other Flag ever to fly over the White House (besides Old Glory) to be a constant reminder of America’s POW/MIA’s from ALL wars including our present time. Passage by the 105th Congress of Section 1082 of the 1998 Defense Authorization Act required that the League’s POW/MIA flag fly six days each year: Armed Forces Day, Memorial Day, Flag Day, Independence Day, National POW/MIA Recognition Day and Veterans Day. It must be displayed at the White House, the U.S. Capitol, the Departments of State, Defense and Veterans Affairs, the headquarters of the Selective Service System, major military installations as designated by the Secretary of the Defense, all Federal cemeteries and all offices of the U.S. Postal Service. In addition to the specific dates stipulated, the Department of Veterans Affairs voluntarily displays our POW/MIA flag 24/7. The National Vietnam Veterans Memorial, Korean War Veterans Memorial and World War II Memorial are now also required by law to display the POW/MIA flag daily, and most State Capitols have adopted similar laws, as have local governments nationwide. This year we will be attending The Wall South POW/MIA Ceremony at Veterans Memorial Park here in Pensacola, Fl. I do not know what to expect but I will be there in support and sending my Prayers and thoughts. Today give a moment of silence to those POW/MIA’s. Fly your POW/MIA Flag. Today the United States Air Force turns 67 years old. Under the National Security Act of 1947 signed on September 18 aboard President Harry S. Truman’s VC-54C presidential transport (the forerunner to the Air Force One), this Act re-structured the military’s agencies after WWII, creating the Department of the Air Force. This is the most recent, largest, most technologically advanced Air Force in the world. In 1907, the War Department the first preceding Air Force. In WWII almost 68,000 US Airmen died helping win the war. Before 1947 Air Defense was shared between the Department of Army for land based operations, The Navy for sea-based operations from aircraft carriers and amphibious air craft and The Marine Corps for close air support for infantry operations. The USAF core functions today are Nuclear Deference Operations, Special Operations, Air Superiority, Global Integrated ISR, Space Superiority, Command & Control, Cyberspace Superiority, Personal Recovery, Global Precision Attack, Building Partnerships, Rapid Global Mobility and Agile Combat Support. A very long list I had no idea the Air Force did to maintain our National defense until researching their Birthday. Falling Leaves, Falling Temps Signal Fall with our Harvest Scarecrow. Scarecrow Sam is just the right touch for fall at your home or place of business. He’d love to preside over your garden! Who can resist this adorable scarecrow ready and waiting to celebrate harvest and Halloween? He comes in several sizes with a matching mailbox cover for full curbside appeal. The perky sunflower adds final whimsy! At the United States Flag Store, in our decorative flag collection we have the perfect October selection to decorate your home and garden for the season. 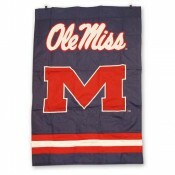 Browse our site for other fall selections from our decorative banners and flags. All our flag products feature vibrant color and high quality construction. Look in our fall collection to select this scarecrow or another among many choices. Made of weather resistant polyester, this product is intended for outdoor display. I try to write a factual history when I blog. Today I cannot give you statistics and facts. Because today is about what you feel as an AMERICAN. It is what you feel to live in the United States. It is about thankfulness for being born in the greatest country in this world. This day is for REMEMBRANCE for the simple people that became HEROES 13 years ago – 13 years that we have been remembering, honoring and continue to fight for our great Nation. I remember every moment of the day of the attacks. I was at work and my girls were in school, 30 miles away. Can you tell me your reaction, thoughts and feelings? I bet you can remember every little thing you felt. How scared you were. How you just wanted to be with your family in that moment of crisis. As the day wore on and news came over the radio and television we saw our First Responders, our Firefighters, EMT’s and Police Departments do what they do best: come to the aid of those in need. Take some time, whether it be a time of silence, prayer, thanking someone that goes out in a uniform everyday or flying your flag. Honor Old Glory today! God Bless America. Noble eagle. Enduring freedom. Remember September 11, 2001.